Deal 30 damage to all your opponent's benched Pokemon and heal Nukeachu for 70 health. Deals 70 damage to the opponent's benched Pokemon and poisons all the opponent's Pokemon. Comments : Industructible, Deadly, Cuddly!?!?!? 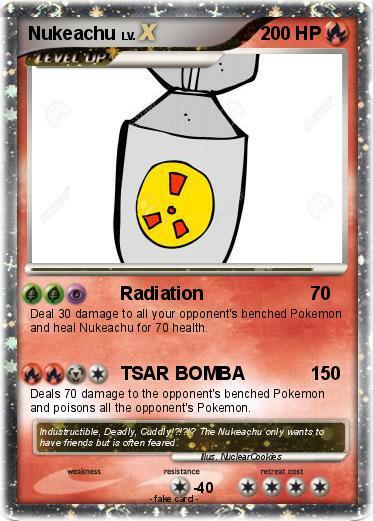 The Nukeachu only wants to have friends but is often feared.